Liliwaimanu is the firm’s Public Issues Lawyer. She co-ordinates the firm’s pro bono work and its research and support for non-government organisations in the areas of public policy, human rights, good governance, rule of law and public interest litigation. She also focuses on family law issues. Lili worked as an in-house lawyer for the Fiji Women’s Crisis Centre between September 2011 and February 2016 and between March and November as a consultant to other NGOs in the areas of domestic violence, human rights and family law. She is an experienced advocate, legal trainer, lobbyist and campaigner for public law issues. 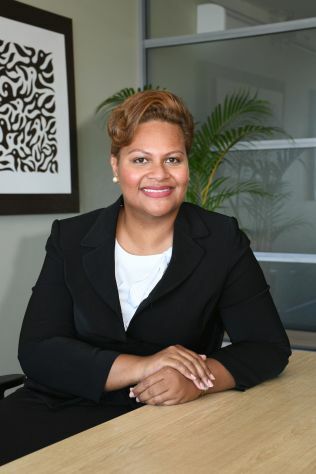 Lili holds a Bachelor of Laws Degree from the University of the South Pacific. She has been an American Bar Association (ABA) Pacific Fellow on Women’s Human Rights since 2012, as a result of participating in a programme organised by the ABA’s Rule of Law Initiative (ABAROLI) in Washington, D.C.